Financial crisis? It's a pyramid, stupid. : Economy: "What a beautiful Catastrophe!" If you are new to this blog, you are invited to read first “The Largest Heist in History” which was accepted as evidence and published by the British Parliament, House of Commons, Treasury Committee. "It is typically characterised by strong, compelling, logic. I loosely use the term 'pyramid selling' to describe the activities of the City but you explain in crystal clear terms why this is so." commented Dr Vincent Cable MP to the author. - the current crisis was easily predictable (without any benefit of hindsight) by any competent financier, i.e. with rudimentary knowledge of mathematics, hence avoidable. It is up to readers to draw their own conclusions. Whether this crisis is a result of a conspiracy to defraud taxpayers, or a massive negligence, or it is just a misfortune, or maybe a Swedish count, Axel Oxenstierna, was right when he said to his son in the 17th century: "Do you not know, my son, with how little wisdom the world is governed?". Economy: "What a beautiful Catastrophe!" Can you imagine you are a civil engineer trying to design a building whilst one of the most fundamental laws of nature keeps changing the way it is working? For example, if gravitational force were to become much stronger when acting on some of the construction materials? You are likely to end up constructing a building that will not behave as you expected when you designed it. It is a bit of a loose parallel but economists face the same problem when dealing with the current financial crisis. Macroeconomics theories assume that the financial system works properly even during the financial crisis performing what is known as money multiplication function, multiplying currency to broad money. All the growth expectations, inflation predictions have this mechanism built in. The Keynesian approach of economic stimulus through public investment and many other anti-crisis measures are also based on it. All modern economy exists thanks to the existence of the money multiplier function: otherwise it would a bartering or quasi-bartering system and banks would be simply secure stores of money. The financial crisis that started in 2008 and continues to the present day is not the first economic downturn in human history. It is also not the first time the banks have collapsed, or have been on the verge of collapse. But it is the very first time that the entire modern financial system is on the verge of collapse or indeed keeps on collapsing. This has happened as a result of turning the financial system from a manageable money multiplication and risk management/optimisation machine into a classic example of a pyramid scheme. As a result, money multiplication does not function in the economy. Banks are not lending. Whatever money comes into the financial system, for example by a government borrowing or QE, sinks into a pyramid and is used to cash toxic assets. This is a way of preventing the financial pyramid from collapsing: just having enough liquidity to keep the system going. The current raids on the Euro zone are a classic example of banks scraping around wherever possible for more liquidity to be added into a corrupt system. When money multiplication function does not work in the economy, the entire modern economic theory does not work. This is one of many reasons why so many “plans for growth” devised by the biggest economic brains have not worked in the last 3 years. The solution is actually technically quite simple: it does not require much economic "wisdom", just a lot of political guts. Forensic accountants, receivers and prosecutors are needed rather than economists. This is all about liquidity shortage and the fact the banks are not lending (i.e. performing their money multiplying function in the economy). What can we expect ahead in 2012/2013? As other currencies and the International Monetary Fund are pulled into rescuing the Euro zone, it is very likely that other currencies and indeed the IMF will come under the threat of collapse, or they will collapse actually. What should really puzzle everyone is that nothing has changed in the way the financial system has been run for the last five years or so. Even the same people are still in charge. And as more and more money has been pumped into it, the financial crisis has kept on spreading from small banks to larger banks to the entire financial system to sovereign debt to currency systems. Albert Einstein once famously defined insanity as "doing the same thing over and over again and expecting different results". Do the politicians, top economic experts and mainstream media pundits not show strong signs of insanity because they believe that by doing the same thing yet again, i.e. pumping even more money and pulling even more countries and the IMF into it, they will stop the crisis from spreading? It seems rather obvious that, as before, it will spread even further pulling into it more countries and the IMF unless the contagious aspect of it, i.e. a pyramid structure of the financial system, is eliminated. And because the modern economy cannot function without a healthy financial system the crisis will ultimately ruin the western economies altogether. This is the current direction. As explained in "The largest heist in history": there is no way of winning with a pyramid scheme. The only way out is to liquidate it. Poland learnt it in the early 1990's, Albania learnt it half a decade later. It is obvious that the western world is learning this in a hard way now. Hopefully it will heave learnt before it is too late. The later it is done the more damage will be inflicted. And if it is not done the pyramid will collapse eventually with spectacular effects. No doubt Zorba the Greek’s applause: "What a beautiful Catastrophe!" will serve amply to describe it. PS. Since this article was written the European Central Bank announced that it was pumping nearly a half trillion new Euros into the European financial system. This confirms the main argument of the blog: the pyramid keeps on collapsing and the politicians and the decision makers keep on trying to prevent it from a collapse. Just one more time: things are getting from worse to even worse. What is your opinion on the small countries in EU such Bulgaria which have a very low-15% GDP debt. What is their best move in the current situation? Thanks! Hi Mishoni, the problem of western economies is that their financial system does not function properly. It does not expand money from currency to broad money, thereby killing any economic growth. In countries such as Poland, Bulgaria, Romania, Czech Republic, the financial system functions properly (i.e. in a traditional way). It does not mean that there are no problems, but these problems are traditional economic problems as we know them from textbooks. In my view as long as these countries keep a close eye their financial system and do not allow their banks to develop pyramids or to pump their reserve money (central banks and commercial banks in general) outside (in exchange toxic papers), they will be fine. Of course economic downturn may affect them badly but, from systemic point of view, they will function properly. However there are risks: the pyramid purveyors are turning on every economy where there is any cash. So no doubt there will be attempts to get as much cash as possible from Bulgaria. It does not matter that Bulgaria is not a rich country: pyramid purveyors are scraping anywhere for anything which is cash. Thank You for your prompt and exhaustive reply! You really open people eyes on what is going on! I have never imagine that the western politicians and bankers will fall so low! Shame on them all! I have seen all that pyramid-banking that you describe back in 1992 in Bulgaria, but have never thought that will happen in UK! I recommended Your blog to all my friends. In time like this the truth cost more than the gold! Have a nice Christmas! Hi Mishoni, thank you for a nice word. We saw pyramids in CEE (Poland, Bulgaria, Albania, etc.). The point is that these were not systemic pyramids but actions of "petty" fraudsters (unfortunate as they for the victims nevertheless) and the governments did not rescue the pyramids but let them collapse. 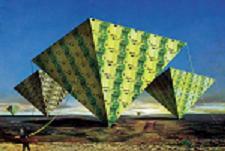 Now we have a gigantic pyramids in the UK, Euro zone, the US and the governments use taxpayers money and obligations to sustain them. Can you imagine what would have happened in Bulgaria if the government there let the pyramids continue and in fact start giving them money to sustain them in the financial system? transaction with a firm/company, there are some factors to be considered. 5.If many people have really used the firm and got their loan. 6.How many days /hours you are to get your loan. calculated loan terms and condition after which your loan will reach your account quick and easy. "How the global crisis was manufactured? From convergent to divergent series. If r < 1, then the series converges. If r > 1, then the series diverges. Simplicity of the idea executed on a thing of most complexity - boogles the mind (my mind anyway, but it is easily boogled:-)"
"I find your premise that banks, particularly those with a loan-to-deposit ratio over 100%, are operating pyramid schemes completely baseless." wrote Mr John Varley, the Group Chief Executive of Barclays plc, to the author. "I agree with you 100% that it was a Ponzi scheme. The reasons it went on for so long and got so large were the complete corruption of all stop-gaps and regulating mechanisms we had counted on to keep money inflation and leverage in sustainable bands." - Mr Stephan Olajide-Huesler author of "The Eye of the Storm: How Modern Finance, Monetary Policy and Reaganomics created the largest Financial Crisis in history." Has Cameron killed the City? Why don't they sort out this mess?